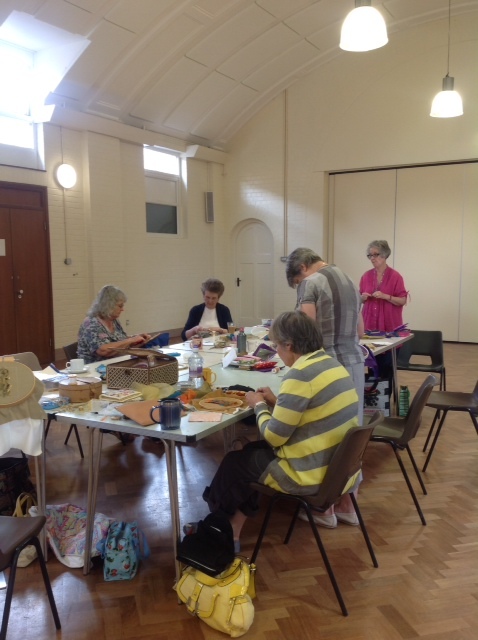 Llinos delivered a fascinating talk to the group in early July about how she got into embroidery and the type of things that inspired her along the way. She now lags behind on family walks busily taking photos of stone walls and crevices. It was really good to see so many samples and techniques which she used to illustrate the talk. 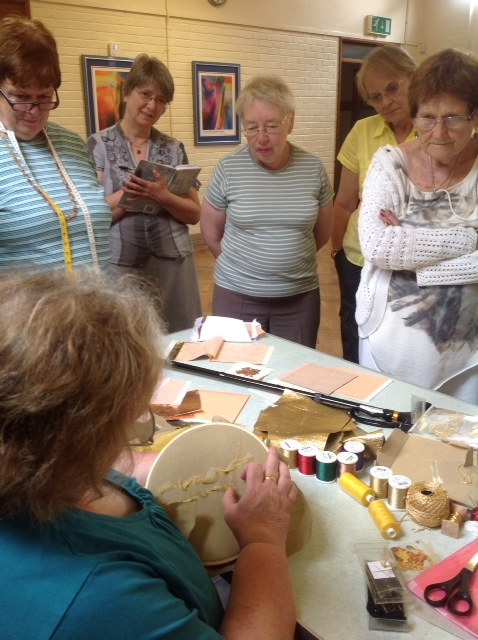 The following day she led a workshop for us and some of the work can be seen below – absolutely fascinating. 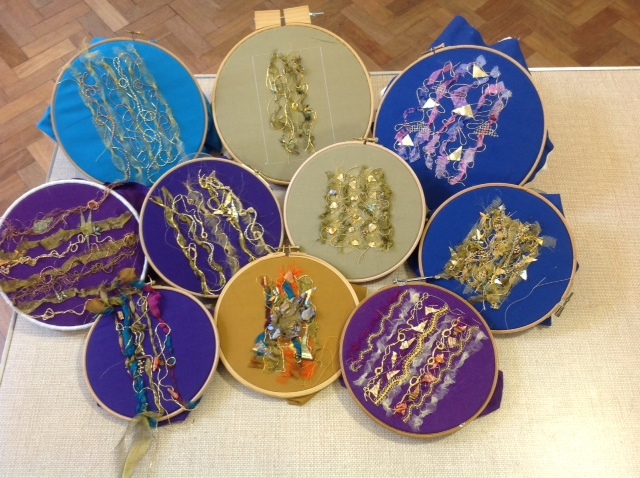 The machine embroidery group have just met again. 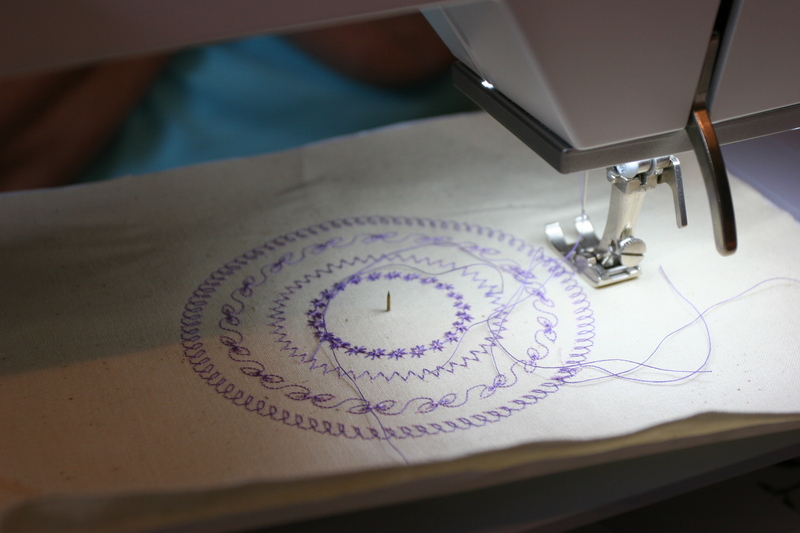 This time we were experimenting with machining in circles and stitching across voids. 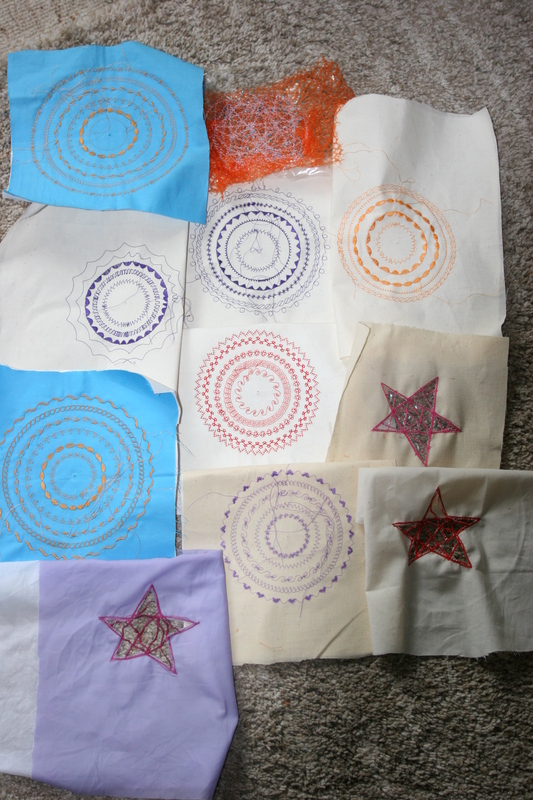 The method we use for the circles was to work on stabilised fabric, secured to the machine on a drawing pin. 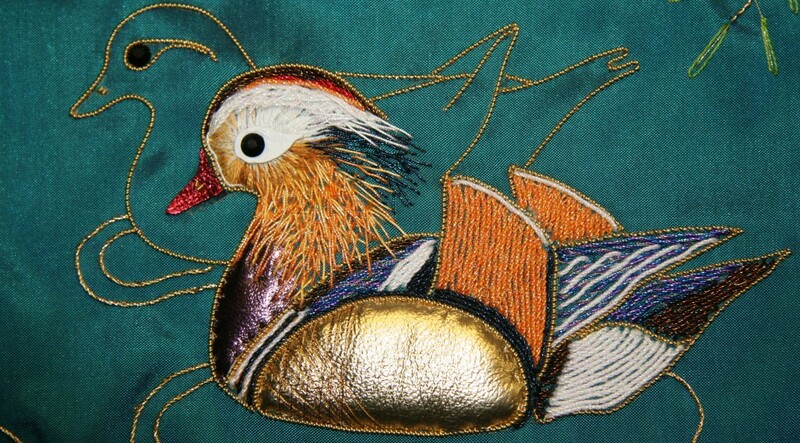 The stitching then follows the arc round the pin. Each time the pin is moved the circle diameter increases. It is also a good excuse to use all those pre-patterned stitches. This a piece of work in progress. 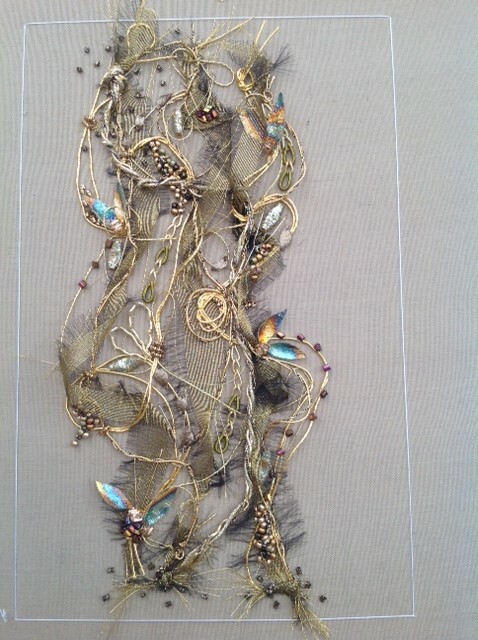 The second exercise was stitching across a void. We found that the older machines were happy to do this, but the newer electronic models require the use of water soluble fabric. It was a technique some of us had not tried before. Here is the total of a day’s work!